Through the generosity of a $7,000 grant from the ASPCA, Easy Street Rescue was able to make our winter hay budget plus finally pay off the vetting and farrier expenses incurred for the horses from the March 2012 15-horse rescue. 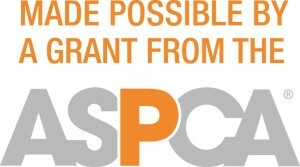 We were entering winter way behind the eight ball when the ASPCA came to our rescue. 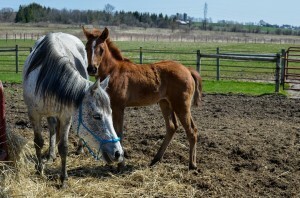 It is quite costly to care for these horses and we are very grateful for their support. 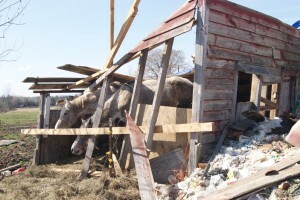 In March of 2012 our group performed a large seizure of 15 severely neglected horses in a neighboring town. This was a huge undertaking for a small group such as ours and was complicated by the fact that seven of these horses were stallions. These stallions had free access to the mares and three of them were pregnant and have since foaled. Two of the horses had to be euthanized shortly after seizure; one had suffered a catastrophic and irreversible injury and another was so severely debilitated and infested with internal parasites that she was unable to rise on her own. 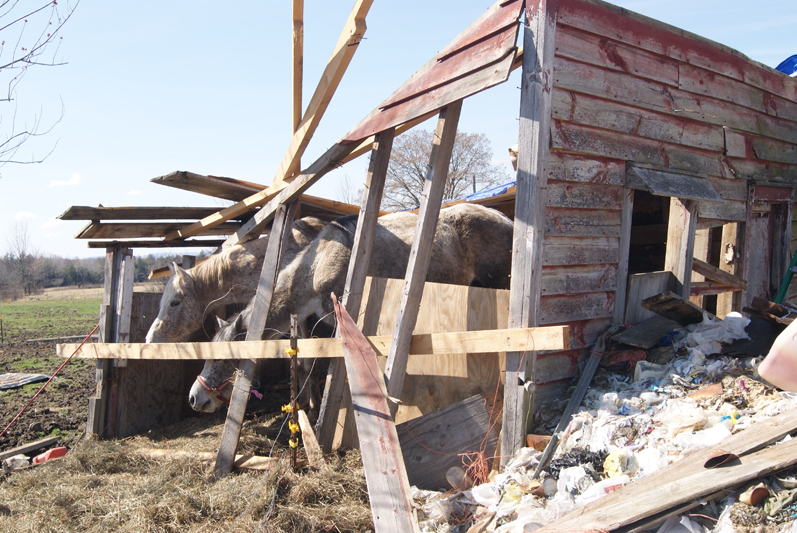 These horses were housed in horrendous conditions in barns that were falling down around them and were deprived of food, water and proper veterinary care. 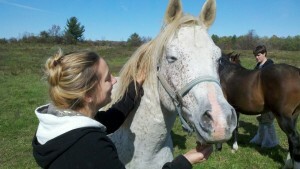 We are very grateful to the ASPCA for their grant that aided in the care for these horses. What a tremendous gift to the horses! Thank you! What does it cost to perform a large rescue such as this one? Below are the expenses incurred from time of rescue to the day we achieved ownership via the civil court system. Easy Street Rescue had to take the former owner (who still hasn’t been tried on the 15 criminal charges against him as of Apr 2013) to civil court to ask that a bond be put up to provide for the horses until the criminal case is decided. When he failed to put up the bond the horses became the property of Easy Street. We were able to do this because of an Ag and Markets law.